Ye’s experiences in IP law include invention discovery, IP procurement, licensing, as well as litigation, particularly in the technology areas such as equipment and methods in energy exploration and productions, data processing, software implemented technologies, and other areas in electronics and communication technologies. Mr. Ye’s legal career started in 2000, when he interned for Federal Magistrate Judge Marcia A Crone in US District of Texas, East Division. 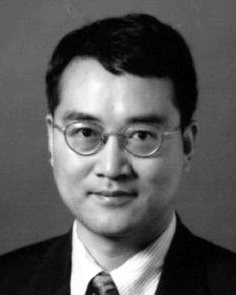 From 2000-2005, Mr. Ye practiced IP law in law firms, focusing on patent prosecution in electronics and communication hardware and software technologies. Working as a member of a litigation team, Mr. Ye participated in a high profile patent litigation related to laptop computer technologies. geophysical exploration related technologies. During his tenure at Schlumberger, Mr. Ye routinely conducted infringement analysis, drafted legal opinions, identified and supported enforcement actions, and conducted IP due-diligence in M&A projects. He also advised R&D management on IP legal and contract issues, provided training to business managers as well as R&D staff members, implemented a corporate Open Source Software policy and management of extensive use of Open Source Software packages in commercial software products. Mr. Ye is a licensed professional engineer. Prior to his legal career, in 1990s, Mr. Ye worked as a process engineering at Bechtel Corp. and Jacobs Engineering Group. His expertise as an engineer includes process simulation, programming, process design, plant operation and equipment evaluation, plant revamp feasibility study, process safety system design and audit. During his graduate study at the Louisiana State University, he developed instruments for research in ultra-high vacuum system, obtaining Master’s degrees in both Physics and Chemical Engineering.